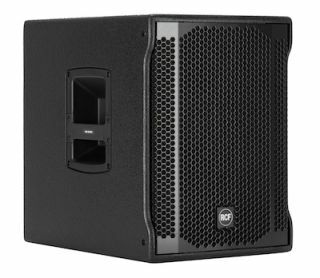 The What: RCF has improved its Subwoofer Series active subwoofer line with the new SUB 702-AS II, an ultra-compact and powerful active bass reflex subwoofer. The What Else: The SUB 702-AS II is equipped with a 12-inch high power woofer with 2.5-inch voice coil, powered by a 1400-watt digital amplifier in a robust plywood housing with deep and punchy tuning for a powerful bass. Thanks to the built-in digital stereo crossover (DSP) with adjustable crossover frequency, it can be easily and quickly set up as a sub-satellite speaker system.